SA's credit rating would be downgraded if state owned enterprises (SOEs) raise government's debt burden, Moody's warned. The ratings agency on Tuesday released a research report on SA government. 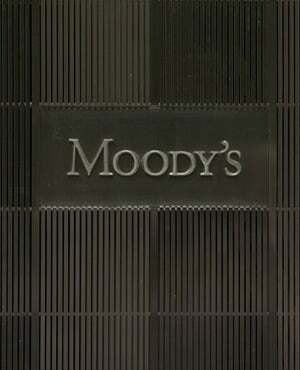 Moody's has SA rated at Baa3, one rung above junk status, with a stable outlook. Moody's did not issue a ratings action last week Friday, as was scheduled. The rand remained resilient and on Monday strengthened on the back of the delayed ratings decision. According to the report, the challenges to the country's credit include weak SOEs, structural economic bottlenecks which are limiting growth and job creation as well as policy uncertainty stemming from "social and political divisions". Moody's indicated that SA's ratings would be downgraded if prospects to revive growth falter, if government cannot stabilise its debt burden and contingent liabilities from SOEs. "Any crystallisation of contingent liability from SOEs that would raise the government debt burden and place it on a higher trajectory would likely have negative rating implications," the report read. "Credit constraints include elevated government debt and contingent liabilities risks from state-owned enterprises, which limit the capacity of the government to absorb potential shocks or use fiscal stimuli, as well as persistently low growth," Moody's explained. In turn Moody's highlighted credit strengths, which include SA's core institutions such as the judiciary and the SA Reserve Bank, a well-capitalised banking sector and "relatively deep" financial markets. Another strength is the low share of foreign currency debt. An upgrade would be possible through the implementation of stuctural reforms to raise growth, stabilise and reduce government's debt, as well as reforms at SOEs to reduce contingent liabilities, Moody's said. Moody's unpacked the structural challenges to growth – which include limited flexibility in labour and product markets, skills shortages, regulatory uncertainty in the mining sector, the lack of competition in network sectors and the weak governance of SOEs. The economic growth which has been slower than expected creates policy challenges, Moody's noted. The ratings agency projects growth of 0.5% for 2018 and 1.3% in 2019. Moody's believes government can bring down the deficit from 4.3% to 3.5% of GDP by the year 2020/21. Debt would be at 56% of GDP. "Our fiscal deficit forecast already assumes a fair amount of adjustments from the government, the details of which will be published in the government medium-term budget policy statement (mini budget), on 24 October 2018," Moody's said. The ratings agency said that the appointment of Tito Mboweni as finance minister could lead to moment changes in policy implementation. "We would not expect the broad direction of policy to be dependent on individuals, in particular given that institutions in South Africa have proven resilient to challenges in recent years," Mboweni said.